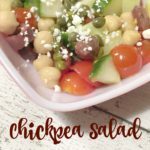 There is something about fresh salads in the summer, and lately I have been a bit obsessed with chickpea salads. While I usually include a medley of veggies, I recently went to make a salad but was short on tomatoes, which was the inspiration for this version. Drizzle with olive oil, add salt to taste. Top with feta (or mix in as desired). Check out my other chickpea salad recipe here! I love chickpeas! Alwas looking for more ways to use them! This looks so refreshing for summer! Mmm, this looks delicious. I’d just have to leave out the olives though since I’m not really a fan. But everything else looks great! Mmmm! This sounds so good. Chickpeas are so under-rated, aren’t they? I love them and would eat them every day if I could. I am always looking for new healthy recipes to try. I will have to get the ingredients I need to make this Greek Chickpea Salad on the weekend. I am sure it will be a hit. Wow this looks really good. I haven’t had anything like this in a while but I am craving it now. This salad sounds and looks super yummy!! It incorporates a lot of things I already love so I know I would probably love it!! This looks so freaking delicious! I love salads that are refreshing and light, so we’ll have to try this soon! I just love chickpeas. This salad looks so yummy and light. Love that it’s easy to prepare, too. It looks amazing and perfect for the summer! I love chickpeas as well, I don’t know why but the flavor is really lovely for my taste. This recipe looks amazing. I love that you have chickpeas in the recipes. I think they’re really good! This salad is so easy to put together and it sounds so tasty as well! The chickpeas will no doubt make it more filling! It’s perfect for lunch especially on those super warm days this season. Chickpeas are my favorite food! This looks like a perfect way to elevate the chickpea and make it a bit more filling. I love this combination- so good! 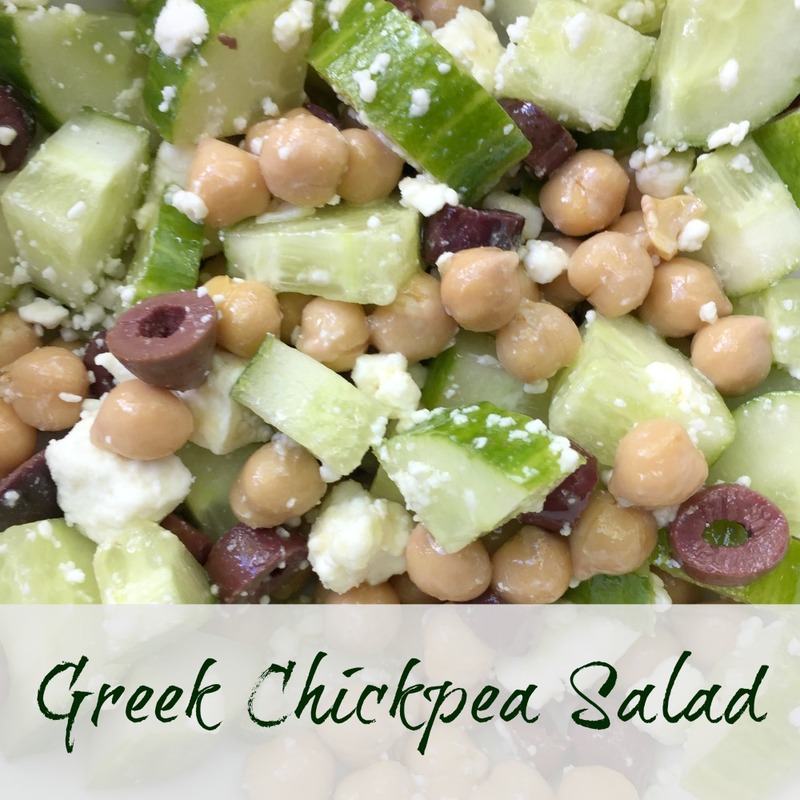 I really like chickpeas and also like the “greek’ flavor in this. This salad looks so healthy and delicious! I am going to have to make it and have for dinner tonight. Thanks for sharing this recipe. This looks absolutely delicious. I love salads and this one truly speaks to my appetite.